Why outsource your Managed IT Support? 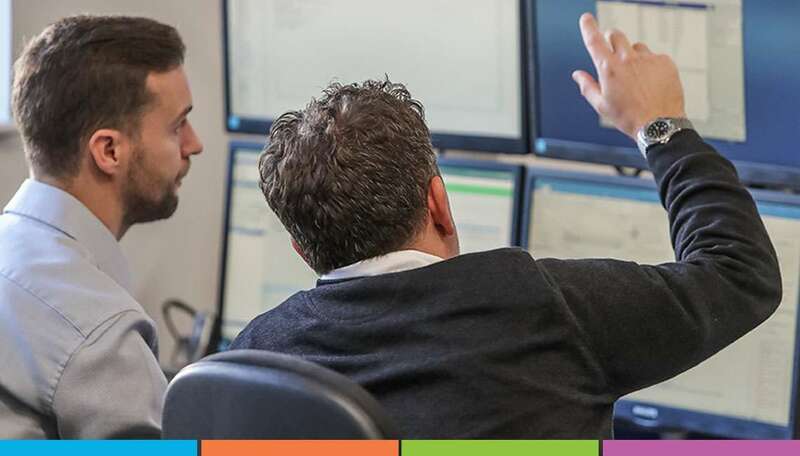 Arc Systems are proud to provide Managed IT Support services to lots of happy customers in Essex and the South East. We know our clients have made a great decision to outsource their IT support to us, but could this be the right move for YOUR business? Of course, there are ‘pluses’ and ‘minuses’ when it comes to outsourcing – as with any business decision. However, in this article, we are looking at some of the pros when it comes to letting us look after your IT needs. Cost is one of the biggest reasons companies outsource their IT. After all, unless you’re a large business employing hordes of people, is it really worth hiring a dedicated IT Manager? Probably not! The chances are it’ll be cheaper to outsource your IT to us. When thinking about costs, it’s important to remember you’re not just forking out for someone’s salary, but you must also factor in recruitment, training, sick pay, holiday pay, temporary staffing to cover absence and pension contributions. With Arc Systems, you pay a fixed amount each month and we’ll keep your IT systems in great shape all year round. What’s more, we also have a number of different packages, including Co-Managed IT Support, to suit your business needs. If you manage your IT in-house, you’ll be responsible for making sure your IT Manager is up to speed with the latest industry developments. That means ongoing training and time away from the day job to attend conferences and sit exams. All of which will cost your business before you can start reaping the benefits. With our Managed IT Support service, you don’t have to worry about any of this. The Arc Systems team are always on top of the latest technical developments, using our knowledge and expertise to benefit your business. Having worked with a wide range of company types and sizes, we’ve also experienced (and fixed) pretty much every IT problem. This may not be the case with an in-house IT department. Most businesses simply can’t afford to invest in the kind of sophisticated monitoring and management software that we can provide. Arc Systems have teamed up with the likes of Sophos and Mimecast, as well as being a Microsoft Gold Partner, to make sure we can give our clients the best possible service and support. IT security is a huge issue for many businesses today. With hacking, malware and other viruses rife, you’ve simply got to take steps to protect yourself. But how do you know you’ve got the right systems in place and you’ve done enough to secure your networks? At Arc Systems, we have the knowledge and experience to assess the right level of protection for your business and put the required systems in place. As noted above, we’ve partnered with industry-leading brands to bring you the very best in online backup, antivirus, firewalls and other security solutions. What’s more, we’ll also put a Disaster Recovery Plan in place, so you can get back on your feet as soon as possible if the worst happens. For smaller businesses, life can be a juggling act between managing core business activities and other tasks such as admin, finance and IT. It stands to reason that the more time you spend away from the day job, the more your bottom line will suffer. So take the ‘bull by the horns’ and outsource some of these tasks to third parties. By handing your IT support over to us, you’ll have more time to focus on what you do best – meeting your clients’ needs and working to grow your business. We’ll take care of your IT requirements, working quietly in the background to monitor your systems and deal with any problems before they impact on your operations. Any IT company will help its clients find ways to work more efficiently, and Arc Systems is no exception. There are lots of ways we can help you streamline your business operations, speed up your processes and boost productivity levels. For example, we might suggest investing in or upgrading to new technology or improving communications and collaborative working by introducing cloud-based services. But, whatever we do, we will work alongside our clients to meet their expectations as well as finding cost-effective ways to help them achieve their business goals. There are lots of ways in which you can find out more about our IT Support packages. This website has a wealth of information about the services we provide, so head over to our Arc Support Home Page for further details. You can also give us a call on 01268 288100 and one of our friendly members of staff can help run down some of the options available and the best way forward. Or alternatively, drop us an email at info@arcsystems.co.uk and we will respond as quickly as possible.